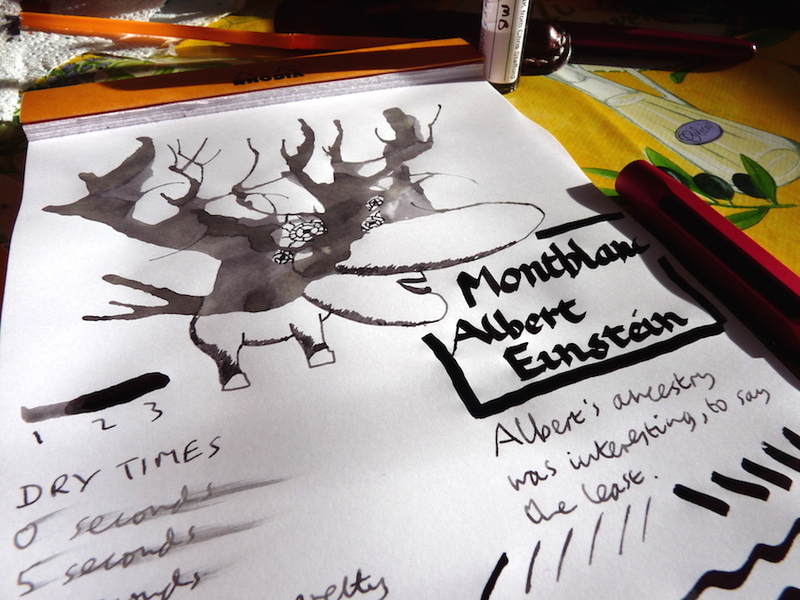 Montblanc Albert Einstein ink review – Pens! Paper! Pencils! Montblanc Albert Einstein is a limited edition ink from 2013. It can still be found but at slightly silly prices. Many thanks to Chris Stafford for sending me this sample. This is a very wet ink but dries quickly. I see a hint of yellow in this, which I actually quite like. I’ve not seen anyone else mention a yellow tint to Albert Einstein (the ink, that is) so maybe it’s just me. 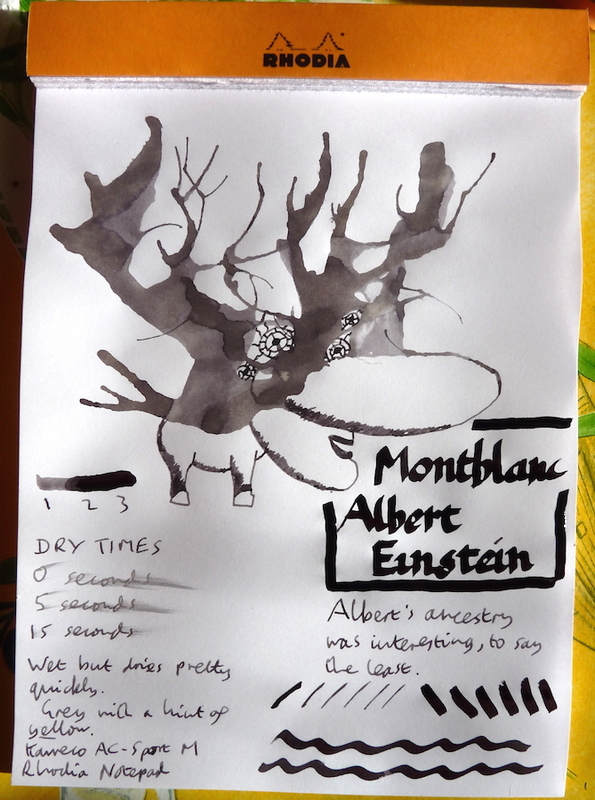 You can find some more reviews of Montblanc Albert Einstein ink on Pennaquod. “hint of yellow” …. at first I thought there was a hint of silver then purple in my bottle, I can’t decide but I like it. Maybe there is some yellow – have to observe it again in a wider nib.